Chris Cobb, DJ Flashback, is a true music connoisseur. He has a passion for all music types, from Sinatra to Lady Gaga. 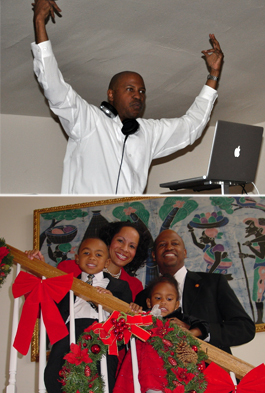 Chris purchased his first set of turntables while in high school back in 1986, and since that time has enjoyed entertaining crowds at weddings, corporate events, and private parties. Chris will be a great match for your event, as he is versatile and experienced at playing many different genres of music, tailored to your tastes. The highlight of DJ Flashback's career thus far was playing opening music for Regina Belle at the Fredericksburg, VA Expo and Convention Center. Chris rises above the rest, with his near encyclopedic knowledge of various genres including Rock, Jazz, R&B, and Hip Hop, all parts of his vast music collection. Most importantly, Chris is a consummate professional and is dedicated to making each and every event in which he performs a complete success.